Chicken vauval is not a gravy recipe. 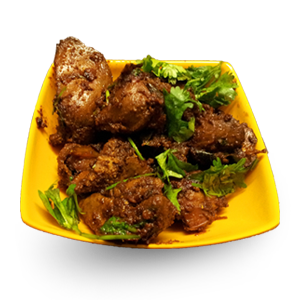 This chicken varuval is semi dry with masala coated on chicken pieces. Cooked chicken pieces are roasted in a masala mixture and fried till dry. You can eat as it is or you can have this as side dish for rice or with plain briyani.